Colette Marie Golombowski, 81, died at Methodist Hospital in Rochester, Minnesota surrounded by love, songs and her family on Sunday, March 31, 2019 from complications of multiple myeloma and influenza. Colette was born January 22, 1938 to C.J. (Pat) and Christine (Jesko) Novak in Pine City, Missouri. She was raised by her grandparents in Michigan City, Indiana and graduated from St. Stanislaus High School in 1955. Colette married Stephen H. Golombowski on October 27, 1956 in Michigan City. They farmed and raised their nine children in Westville, Indiana; Brodhead, Wisconsin; and the Johnsburg, Minnesota area. Colette worked at Swiss Colony in Monroe, Wisconsin. Upon moving to Minnesota, she worked for Theobald Implement and Tom’s Repair in Stacyville, Iowa, and stayed with the businesses through the transitions and retired from TCM and Stacyville Repair in 2015. 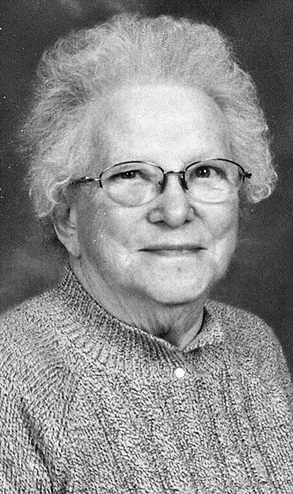 Colette was a member of St. John the Baptist Church, Johnsburg, Minnesota, where she served on the parish council, finance council and CCW. She served as treasurer of the Southland Food Shelf since its inception. Colette enjoyed cooking for the entire family every Sunday after church, going on walks, reading and family vacations. She was generous to all, supporting every community and school cause, and showed a genuine interest in each and everyone’s lives. She celebrated every milestone birthday, wedding and birth with a gift for family and friends. Colette was fun – and funny – and loved her family very much. She will be missed every day. Colette was preceded in death by her parents; her husband; her grandson, Jay Haraldson and her son-in-law, Michael Finbraaten. She is survived by children: Cathy (Kurt) Hurst, Madison, Wisconsin; Maureen (Edward) Noterman, Adams, Minnesota; Laura (Mark) Schaefer, Taopi, Minnesota; Sharon (Joel) Haraldson, Sun Prairie, Wisconsin; Valerie (Al) Rieke, Rochester, Minnesota; Suzanne Finbraaten, Adams, Minnesota; Steven (Kara) Golombowski, Adams, Minnesota; Daniel Golombowski, Onamia, Minnesota; and David Golombowski, Adams, Minnesota; Grandchildren: Chelsea Hurst, Connor Hurst, Katherine (Drew) Dillmann, Anna Noterman, Ella Noterman, Samuel Noterman, Jared (Katie) Schaefer, Mitchell Schaefer, Lucas Schaefer, Paul Schaefer, Hannah Haraldson, Jack Haraldson, Jason Rieke, Jenna Rieke, Nicholas Finbraaten, Meg Finbraaten, Roy Golombowski, McKayla Golombowski, Ashley Golombowski, Alyssa Golombowski, Jakob Golombowski, Joshua Golombowski, Ava Golombowski, Reese Golombowski and Bristol Golombowski; Great Grandchildren: Leilee Golombowski and August Schaefer. A Mass of Christian Burial was held on Thursday, April 4, 2019, at 10:30 AM at St. John the Baptist Catholic Church in Johnsburg with Father Swaminatha Pothireddy officiating. Interment was in the Johnsburg Cemetery. Visitation was from 4PM to 7PM Wednesday at the Adams Funeral Home in Adams and one hour before the service Thursday morning at the church.